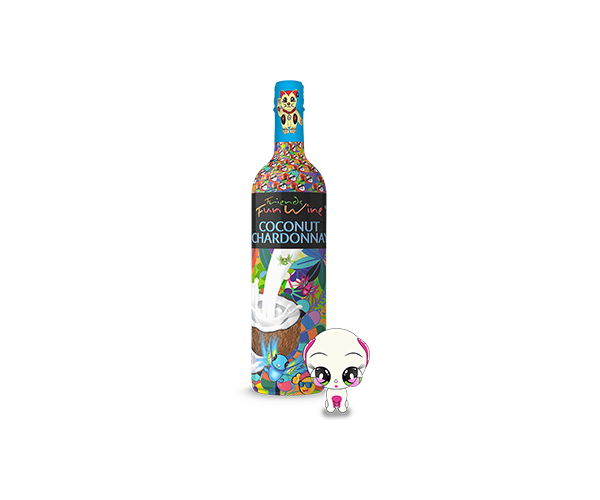 Friends Fun Wine Coconut Chardonnay bottle - Oak Beverages Inc.
Friends Fun Wine Coconut Chardonnay bottle – Experience the smoothness of chardonnay with the exotic flavors of coconut and unexpected hint of pineapple undertones. Friends Fun Wine Coconut Chardonnay bottle – Experience the smoothness of chardonnay with the exotic flavors of coconut and unexpected hint of pineapple undertones. This is what Miami tastes like! Serve chilled. NEW – 750 ml (25.36 oz.) 5.5% Alc/Vol. COMING SOON – 350 ml (11.5 oz.) 5.5% Alc/Vol. Meant for FUN lovers, it has a friendly taste and is a refreshing drink. FUN On The Go – in a 250 ml recyclable can- Because we know that you need your fun on-the-go, wherever you go. Affordable FUN – so you can have more FUN for less. Low Alcohol FUN – with only 6% alcohol – so you can keep the FUN going longer. Low Calorie FUN – with 75-94 calories – because you don’t want FUN to add to your weight – just your life. FUN wine is a new beverage category manufactured from quality grapes in the EU, currently offered in attractive 250 ml slim cans. 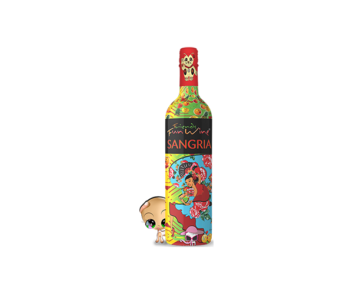 FUN WINE comes in many flavors, including: Red & White Sangria, Rose & White Moscato, Strawberry & Peach Moscato and The World’s First Coffee-Wine: Cabernet Coffee Espresso and Chardonnay Coffee Cappuccino – with no caffeine. Warning: Fun wine in a can is not for everyone. Wine connoisseurs, grumpy people and mood killers may not be able to handle Fun wine in a can. Beer, soda and coffee – move out of the way. Pregnant ladies and underage drinkers should just wait a little bit longer. Friends Fun Wine Coconut Chardonnay bottle – There Used To Be Wine Coolers. Now There Is A Cooler Wine – Fun Wine™. 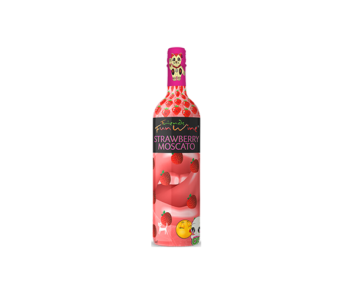 When Joe Peleg, The Fun Wine Company CEO and Founder, came up with the idea of Friends Fun Wine®, he wanted to create a new drinking experience, a new drink category that never existed before. He wanted to offer a different kind of wine – a wine that is friendly for all, not only for wine connoisseurs. His over 30 years of experience in the food and beverage world, brought him to the realization that wine is one of the most misunderstood drinks. It has a perception that it’s only meant for wine snobs, that you have to smell it, swirl it, critique it and analyze it. He wanted wine to be experienced and enjoyed by the masses as a refreshing recreational drink. He wanted wine to be FUN! So he took wine out of the bottle, and put it into a can – so everyone can enjoy it on the go and take it where the fun is. He added flavor so it would have a friendly taste, and he made it low alcohol and low calorie so people can enjoy more of it longer and without worrying about weight gain. He made Fun Wine™ so wine can be FUN and for everyone!